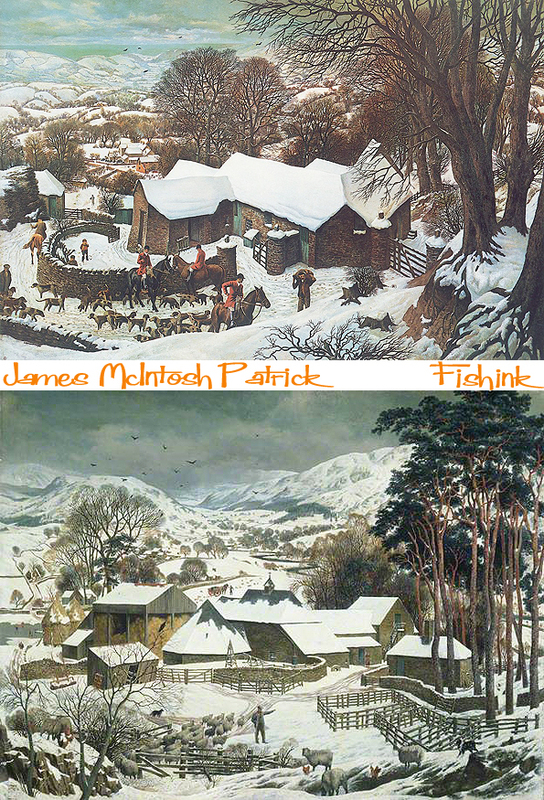 James McIntosh Patrick. Spring is in the Air ! Spring is definitely in the air and it’s a very appropriate time to talk about it, not only because there are snowdrops and daffodils out in the parks and woodland. But also because Spring is the very subject of my first guest blogpost for my agents site. Yellow House Art Licensing. I had another fab day at the Walker Art Gallery in Liverpool last sunday. It’s such a wonderful space and the mood of the building is light, joyous and refreshingly uplifting for what I would call a more traditional style of Gallery. 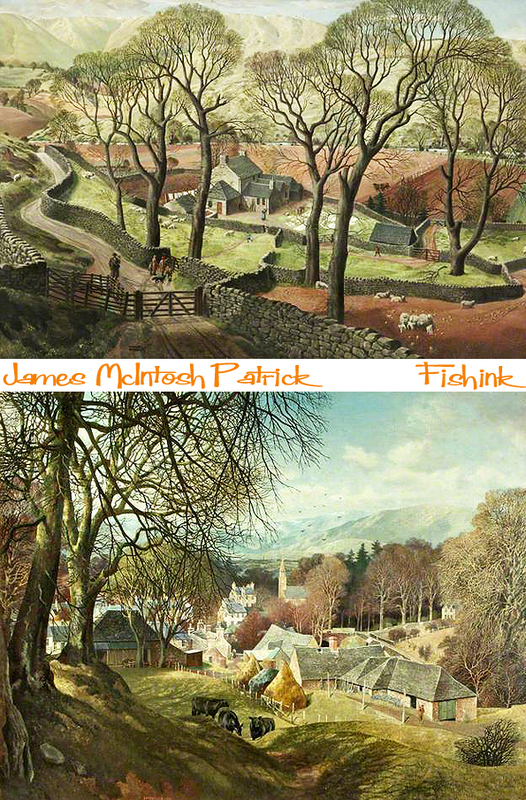 I had forgotten this painting (below) ‘Springtime in Eskdale’ by James McIntosh Patrick, but soon got a sense of how comforting it was to come across it again. For me his work has strains of Lucian Freud, Stanley Spencer and Pieter Bruegel all rolled into one. 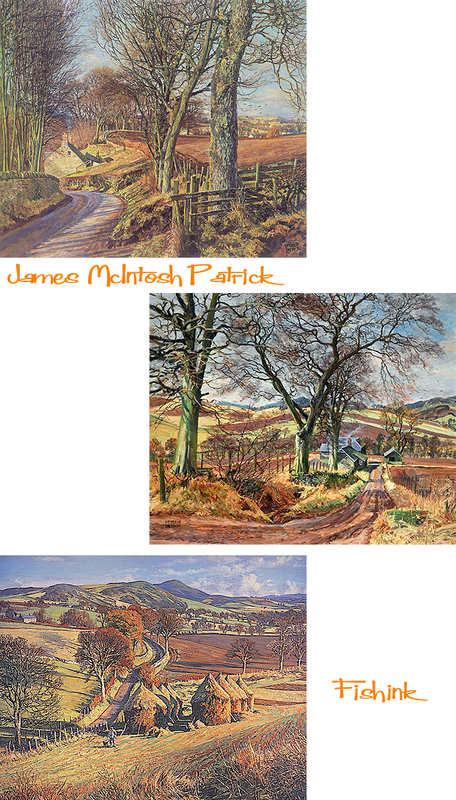 I love the perspective, use of colour and how James paints a tapestry of walls and fields that encourages our eyes to linger, explore and visually wander down those same lanes, that he painted back in 1935. 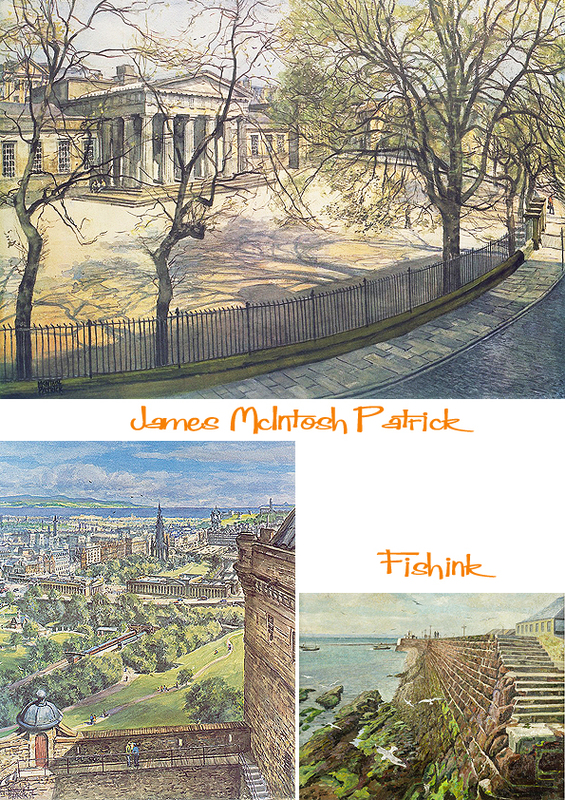 James is regarded as one of the greatest Scottish painters of the 20th Century. Born in Dundee in February 1907, his work has enjoyed a long and distinguished career. His father and brother were both architects and it was no real surprise when he enrolled in the Glasgow School of Art in 1924. By 1927 he was selling etchings in London, and he exhibited for the first time at the Royal Academy whilst still studying. He left the Glasgow School of Art in 1928 and had won many prizes for portraiture and landscapes, and the prestigious James McBey Prize for Etching. The success of his paintings during the 1930s established his reputation, with many acquisitions made by public galleries and institutions. Since then his work has been displayed regularly at major exhibitions. I love his use of light here depicting Dundee High School. 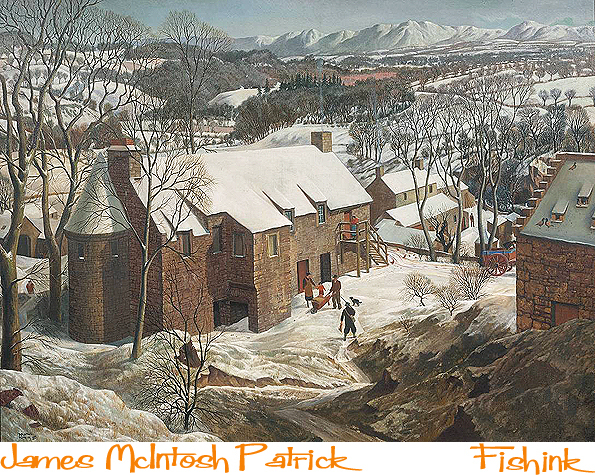 In 1940, James McIntosh Patrick was called up into service with the Camouflage Corps, and was stationed in Africa during the Second World War. 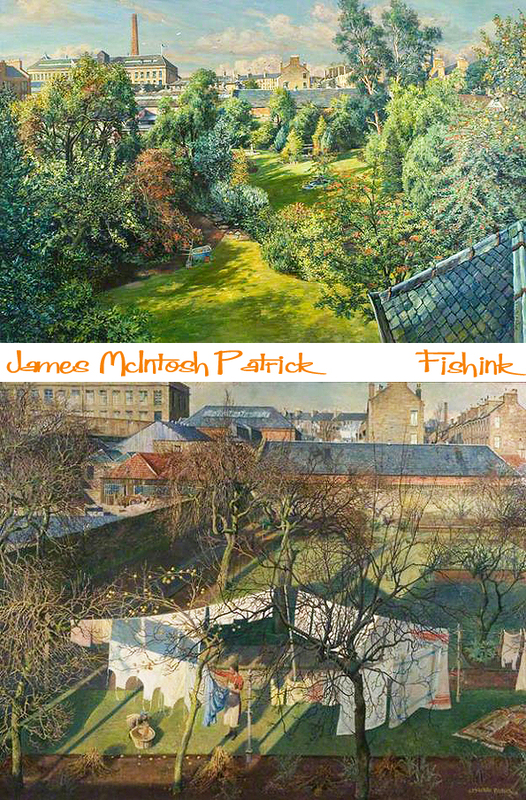 Upon his return to civilian life, he concentrated on exhibiting in Scotland, especially at the Royal Scottish Academy, and in 1957 became a full Academician. He started painting outdoors and loved it, which changed his working methods from then on. His work is full of detail and rich textures. He captures the landscape around his hometown of Dundee so well. The light and shape of the hills and understands the movement of the land, it’s undulations and grassy patch-work fields. The light and colours here are beautiful. We can sense that mid afternoon sunshine and the feeling of the summer months approaching. Summer at last, but soon comes more wintery climes. 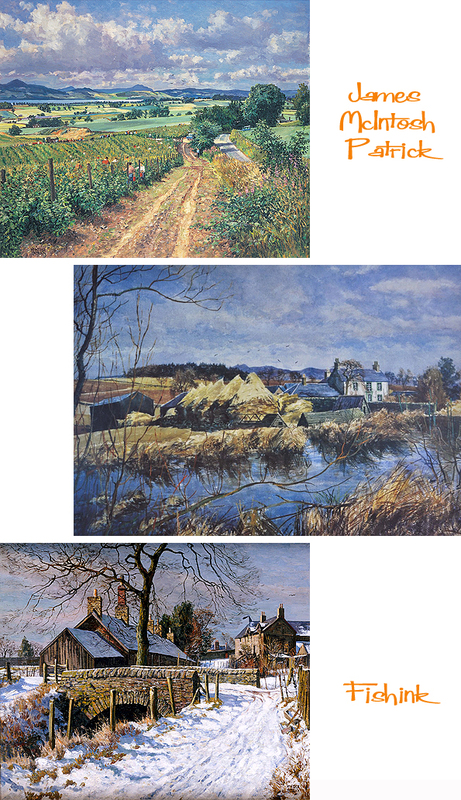 By the 1950’s he had perfected his style and technique in outdoor landscape painting and began recording his beloved Angus countryside on canvas, working in all seasons and all weather conditions. In the same way that Bruegel’s ‘Hunters in the Snow’ captures my attention in its use of space and the aspect of the landscape. The same happens for me in this last piece ‘Winter In Angus’ acquired by The Tate Gallery in the same year that it was painted, 1935, when James was just 28 years old. Stunning ! Only last week The Courier newspaper announced that some of James early drawings had been rediscovered. Long may his work be rediscovered, I’ve certainly enjoyed doing just that. 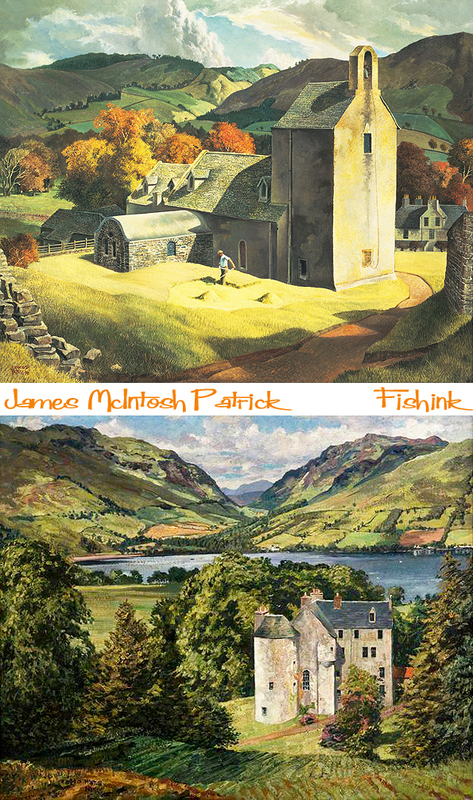 I remember “Jimmy” Patrick from my student days in Dundee where he used to rule at the local art society. In those days I couldn’t see the point of his gentle intricate compositions but, luckily, never opened my big mouth and told him! Hi Max, how our opinions change hey. Nice to hear your backstory there too, thanks for sharing that. Beautiful!! Sadly though, it’s not at all springlike where I live, so I will have to enjoy the season in this beautiful artwork. Thanks for this blog on Patrick – wonderful to see so many of his pictures. Strong Constable influence in some pictures? Thanks Henry, to be honest it was a joy to discover that I liked so much of his work after seeing those at the Walker Art Gallery. I love the slightly more stylized ones, ordinary views somehow become extraordinary. What an eye. 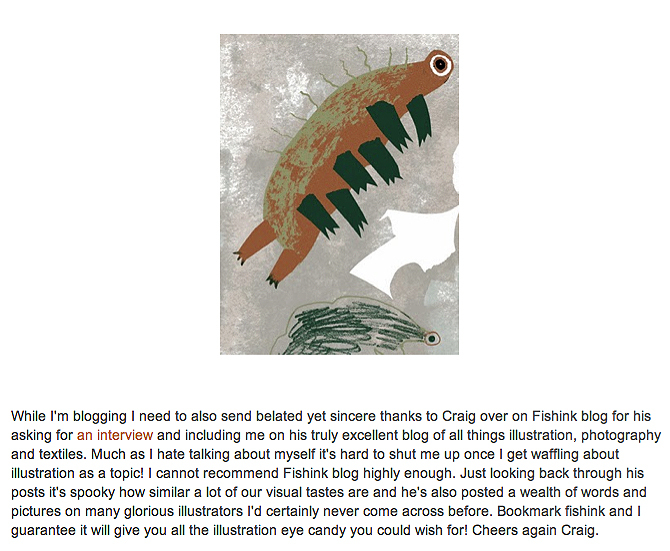 This sort of work must I suppose remain deeply unfashionable in the upper echelons of the trendy art world. Their loss. Lovely stuff! His style reminded me very much of Badmin, who maybe was influenced by Patrick. 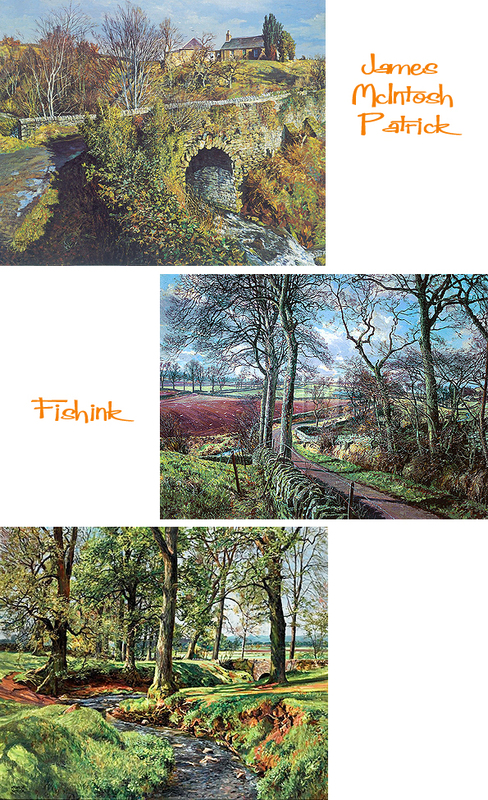 Hi Colin, thanks for the comment and mention of Stanley Roy Badmin, who’s work I like too. I definitively see Bruegel in his snowscapes – beautiful pictures! Thank you! 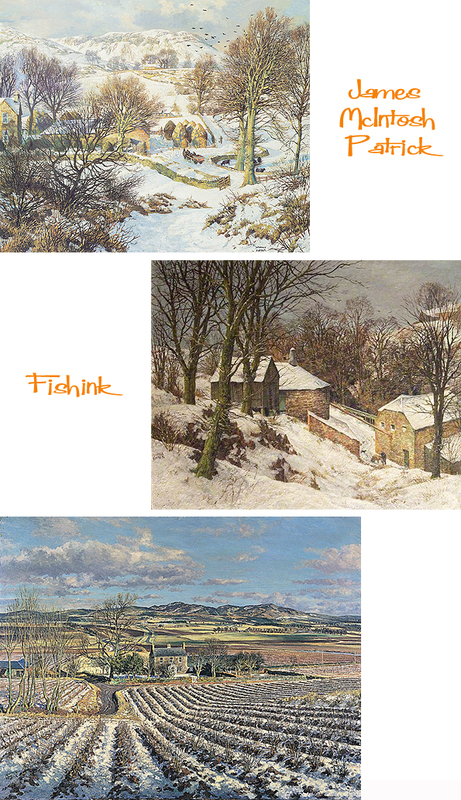 I like his snowy work, must have been so cold to paint outdoors then !